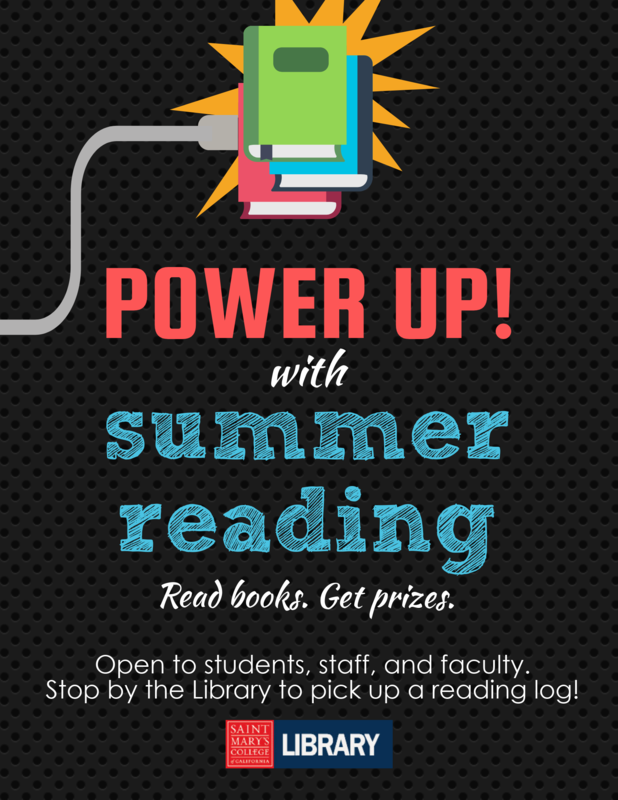 Power Up with the SMC Library's 2018 Summer Reading Challenge! Keep a reading log (available in the SMC Library, as an online form, and as a PDF for download below) May 28-Aug. 26 and turn it in to the Library by Sept. 1, 2018. 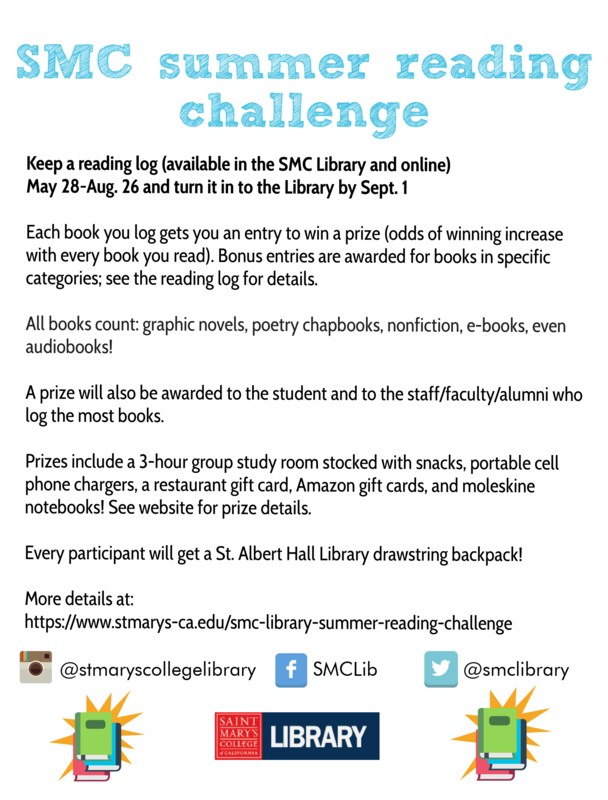 Each book you log gets you an entry to win a prize (odds of winning increase with every book you read). Bonus entries are awarded for books in specific categories; see the reading log for details. All books count: graphic novels, poetry chapbooks, nonfiction, e-books, even audiobooks! A prize will also be awarded to the student and to the staff/faculty/alumni who log the most books. Prizes include a 3-hour group study room stocked with snacks, portable cell phone chargers, a restaurant gift card, Amazon gift cards, and moleskine notebooks! See website for prize details. Every participant will get a St. Albert Hall Library drawstring backpack!